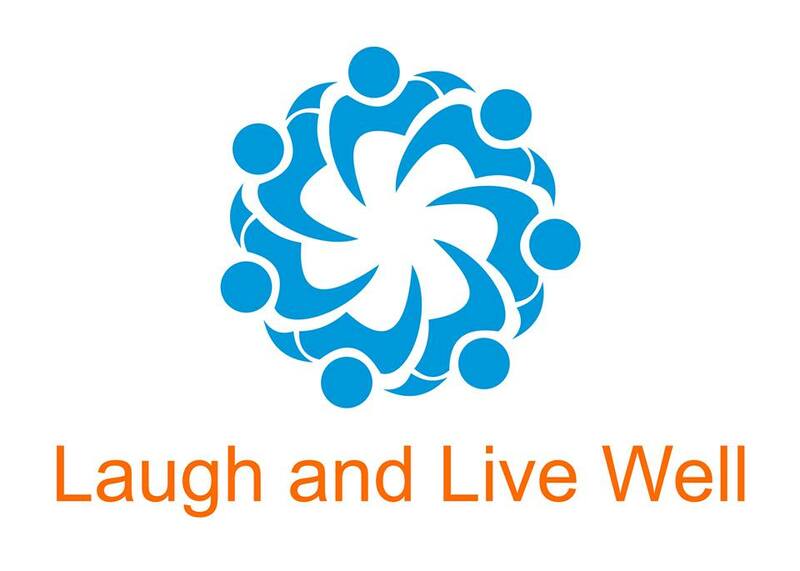 The Laughter Yoga University launched several new Skype laughter clubs in 2016, including Skype Laughter Club Australia, which meets online at 8:30pm Australian Eastern Standard Time (Sydney, Melbourne time) everyday, 365 days a year! 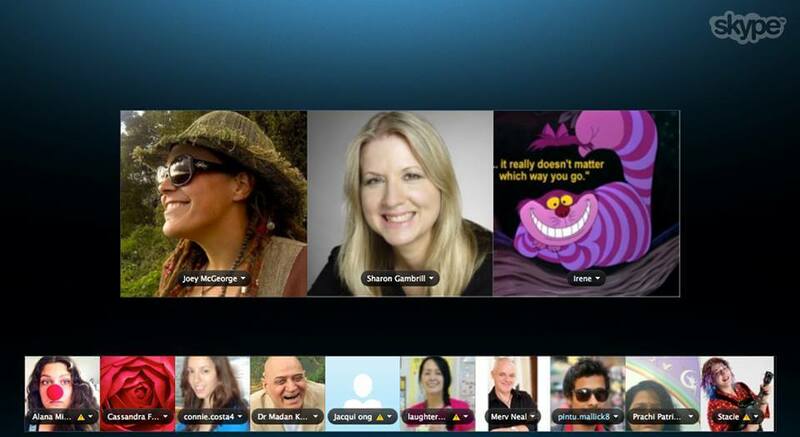 Skype Laughter Club Australia officially launched on Monday 11th January 2016. I joined the launch to learn more about Skype laughter clubs, to see how they fit in with the wider picture of laughter yoga, and have joined in on several calls since. The Skype laughter club has its unique place in the world. It brings people together, through laughter, within a positive online space. If you’ve had a difficult day, I could imagine that it would help you to shift into a more positive mood. Not to mention, it makes it simpler for people to laugh more on a daily basis, as it’s easier to laugh with others, who are laughing. A Skype Laughter Club differs from a regular community laughter club. For this reason, I have put together some questions and answers to help you understand more about this and how you can get the most out of your laughter experience. How does a Skype Laughter Club differ from a community laughter club that meets face to face? A community laughter club tends to meet for longer. Club sessions typically run for up to one hour. 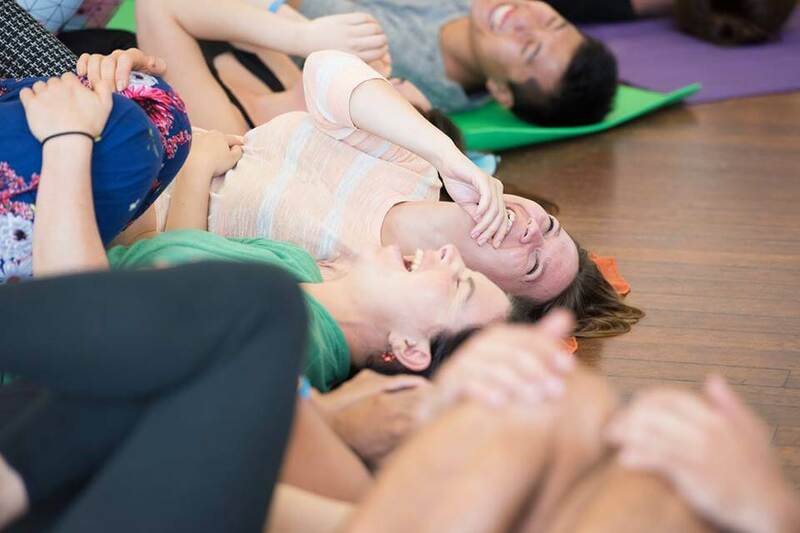 They are structured and enable people to laugh, through the process of laughter yoga. 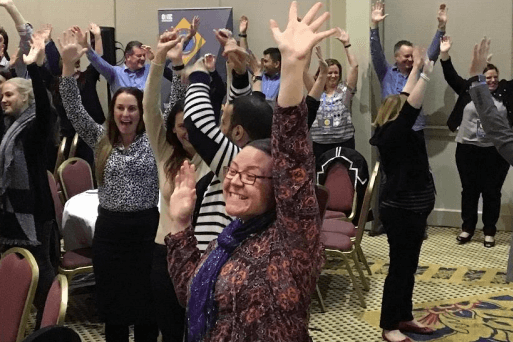 In a laughter yoga session, group members engage in a range of interactive exercises that alternate between laughter, clapping and deep breathing exercises. These exercises are followed by a laughter meditation and a grounding exercise. A skype laughter club meets for around 20 minutes online. Skype laughter sessions involve free flow laughter, rather than guided exercises. Once the call begins, group members start to laugh and they laugh continuously, without talking, until the end of the Skype call. You can do your own breathing exercises, when you need to, as you continue to listen to the sound of laughter. Who leads Skype Laughter Clubs? Skype laughter clubs are run by a team of passionate laughter enthusiasts, who volunteer their time each night, on a rotational basis. 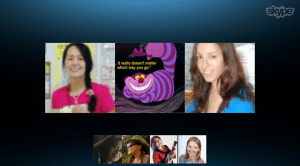 Skype laughter club leaders are usually, but not always, laughter yoga leaders or teachers. This is because Skype Laughter Clubs involve free flow laughter, rather than a laughter yoga session. Who should join a Skype Laughter Club? Skype Laughter Clubs are useful for people who don’t have access to a local community laughter club. If you attend a community laughter club, you may benefit from connecting with a Skype Laughter Club, if you would like a dose of laughter, between sessions. At a community laughter club, you will benefit from experiencing a full laughter yoga session, each time you attend. 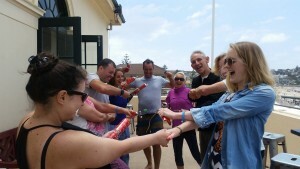 You will also meet, and interact with, other group members face to face, and many positive social connections tend to form, as people bond through laughter. Skype laughter club sessions may effectively complement your local community laughter club sessions. How do I achieve laughter with a Skype Laughter Club? When the group call starts, the leader will begin to laugh and then others will join in. Just like in laughter yoga, group members choose to laugh, for no reason, because they can. Although the skype laughter session starts with simulated laughter, it often turns into genuine laughter, because the sound of laughter is contagious – that’s why sitcoms use laugh tracks to accompany jokes. It’s important to be comfortable. You may find it easier to lay down and laugh. When you lay down, your muscles are able to relax more, as they do not have to hold you up and you are able to achieve a greater level of free flow laughter. It also helps to be free from distractions. For genuine laughter to flow, you may need to get into the zone. Having said that Madhuri Kataria, the co-founder of Laughter Yoga, has been known to laugh along with the Skype Laughter Club, whilst doing her house chores. Although Skype laughter clubs are consistent with the laughter yoga expectation of ‘laughing and not talking’, there is a culture of instant messaging throughout the duration of the Skype call. This is a way for group members to get to know each other. There is the option to get involved in the conversation and get to know your laughter buddies. I personally, have found that following and/or engaging in a written conversation on the side takes me out of the laughter zone. If you’re like me, and would prefer to listen to the sound of laughter and get into a mindful state of free flow laughter, simply minimise the chat section and connect with the sound of laughter. You can always chat at the end, as people start to say goodbye. Whatever works best for you is fine! Skype Laughter Clubs are a great way to connect with others online to laugh. They are a valuable addition to an existing laughter yoga practice and are accessible to you every day. 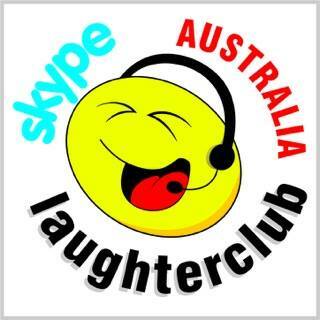 To join Skype Laughter Club Australia, connect with the laughterclubaus account on Skype. For more information about Skype Laughter Clubs and meetings times, see http://skype.laughteryoga.org. How do you connect with laughter every day? Feel free to share your comments below.